As the number of Jogging Strollers attests, combining exercise with kids is becoming increasingly popular. However, what happens when you don’t just want to jog, but want to run? Jogging strollers are not always made for going at higher speeds. They lack the stability (meaning the might jack-knife or flip) and the support for your child (bumps and vibrations go straight through) for traveling beyond anything faster than light jogging speed. 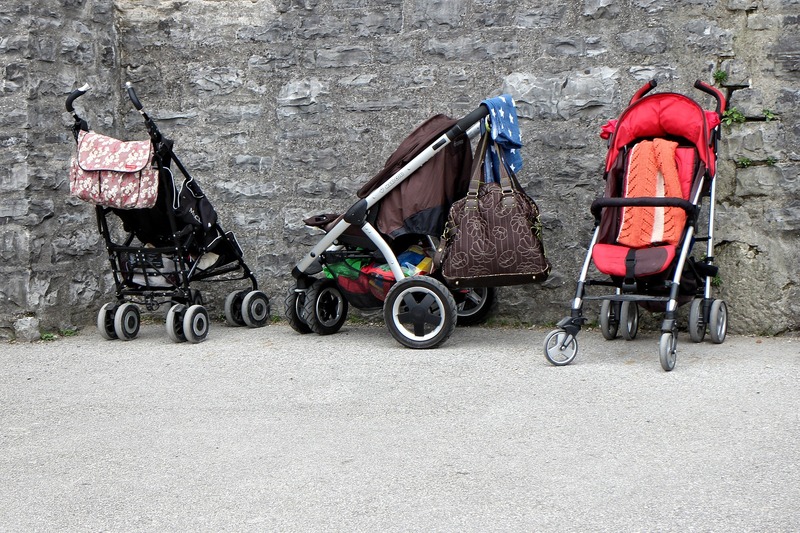 The answer to the problem is running strollers. Designed to go much faster that typical jogging stroller, running strollers are perfect for letting you and your baby travel at high speed. Although a niche stroller category, there’s a range of suitable strollers and below are some reviews of the best options for running strollers in 2017. 2 What Is A Running Stroller? 3 Running With A Jogging Stroller? To make finding the right running stroller for you easier, we’ve compiled all of the key details into an easy to use comparison chart. .
What Is A Running Stroller? A stroller that can be used for either for running or jogging is generally known as a Running Stroller. Running strollers have a few features that differ them from strollers that are designed for general use. Running strollers generally have large (12-16”) 3-point air filled tires, which provide a smoother push at higher speeds. The rear tires will also have a suspension system to ensure that the stroller provides a comfortable ride for its little passengers, even on rough terrain. 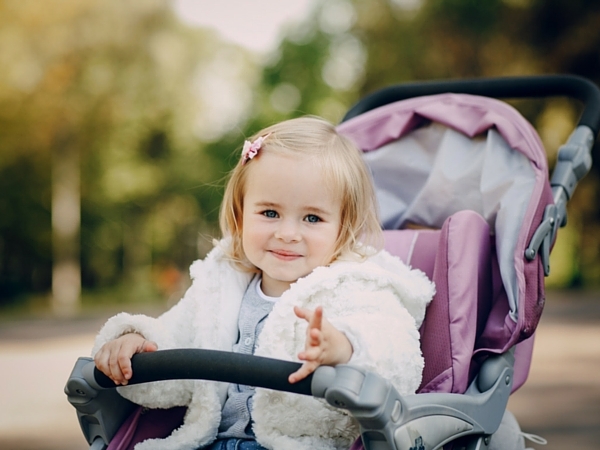 Running baby strollers can also have either fixed or swivel wheels that are lockable. This is important as a swivel wheel designs will be more usable in everyday scenarios, whereas a fixed wheel may not provide the maneuverability for everyday use. Running With A Jogging Stroller? Running with a jogging stroller is absolutely possible, depending on the stroller. As mentioned above, the best jogging stroller for runners will either be a fixed or swivel wheel, but to run at speed you definitely need a fixed wheel stroller, otherwise the stroller just wont be stable enough. All swivel wheel designs on this list are lockable, so this is not a problem. Also note that it is not recommended that you use your baby jogger running stroller to run with your child until they are at least 6 months old. Running with jogging stroller is a really enjoyable experience for me. It adds to my workout, allows me to have bonding time with my kids and I feel as though I’m doing something great for myself and them by getting outdoors. The kids also love traveling at speed with the wind in their face. You will find the best jogging strollers for runners below. BOB’s Running strollers are some of the best on the market. Thanks to their high quality construction, BOB running strollers are tough and durable and yet are still lightweight, meaning they are great for high intensity running as well as suitable for everyday use. 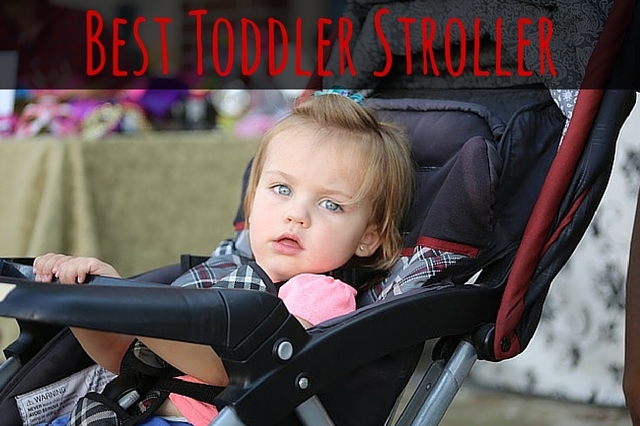 We’ve reviewed the best BOB strollers for running here. 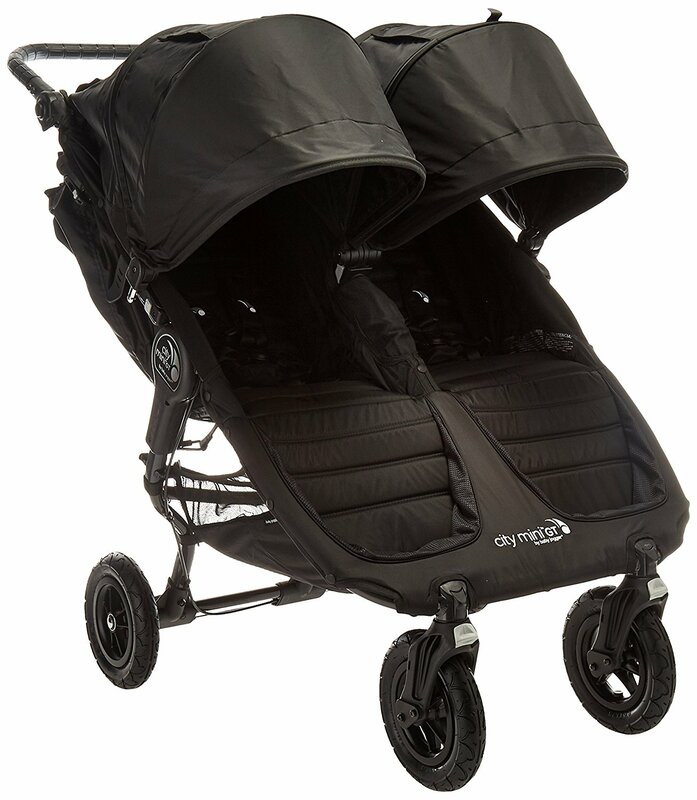 The very first stroller in the list is the BOB Ironman Duallie Stroller, which is a double stroller. This stroller features a fixed front wheel for stability when jogging or running, something that is essential to run with a double! You will need to be prepared for a workout as the stroller can hold up to a total weight of 100lbs (50 lbs each seat). Having said this, it still performs really well and pushes easily thanks to its large 16” tires. The adjustable suspension also plays a massive role in how well the stroller pushes. 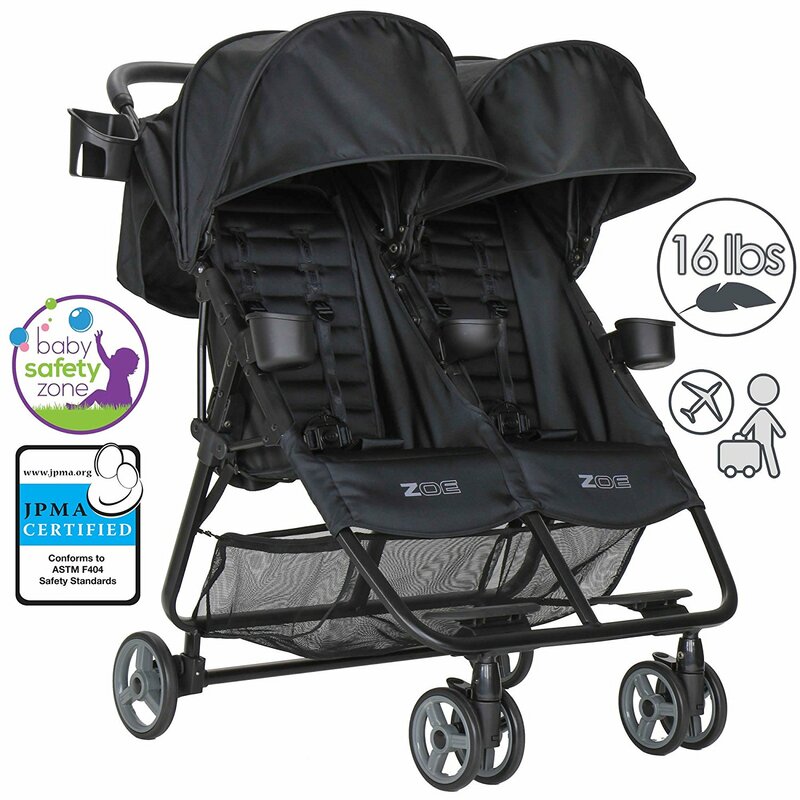 The BOB Double Running stroller frame is lightweight for what it offers and is great for travel and safety, with an easy two-step folding system and the option to attach the BOB Infant Car Seat Adapter. The seats are ultra-padded, and can both be independently adjusted/reclined allowing comfort for both children. Both seats also have a five-point padded harnesses to be kept comfortably secure. Each seat also has its own independent canopy. I found the canopy to be huge and it provided great full body sun protection. There is a large basket undercarriage which provides plenty of storage, and additional space in the seat back pockets. The internal seat pockets also provide room for snacks and toys, and kids have two sippy cup holders each, but unfortunately no parents cup holder (you will have to steal one off the kids). The front wheel has a tracking adjustment dial which ensures it is always positioned the way you want it, and there is a hand brake that provides stopping assistance which is great on hills. All doubles are a bit awkward around town, especially having no swivel wheels, but this is probably the best stroller for running with twins. 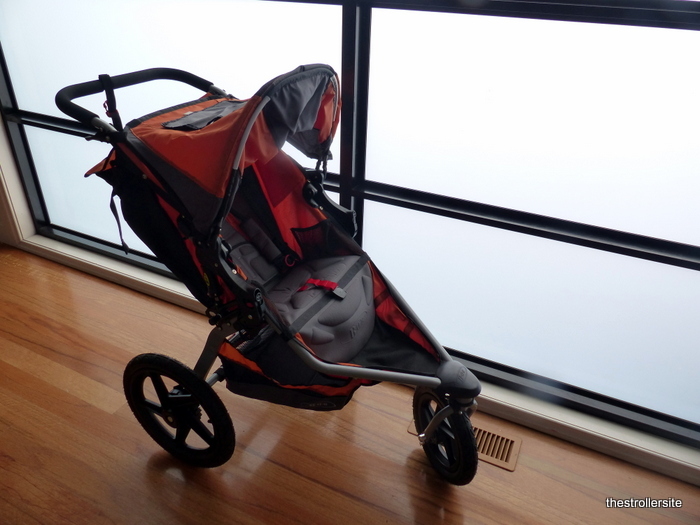 You can read a more indepth review of the BOB Ironman Duallie Stroller here. 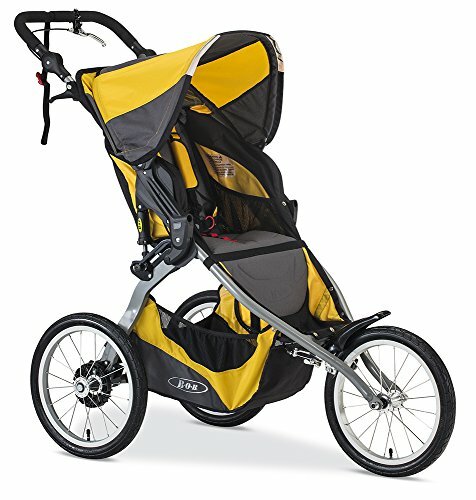 Click here to see more information on the BOB Ironman Duallie Stroller. The BOB Ironman Single Stroller is the single version of the BOB Ironman Duallie Stroller, with a few differences that make it just as popular. The single version has a weight limit of 75lbs, which is a lot higher than most single joggers. In addition to this, the stroller only weighs in at 27 lbs, so is also lighter than many too! 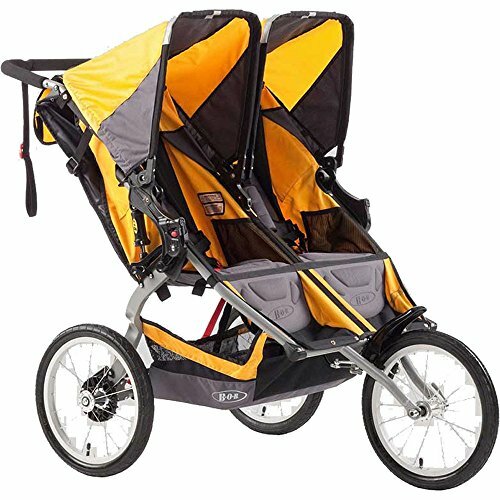 The BOB Running stroller is built much the same as the Duallie. There are 3 x 16” tires, with the front wheel being fixed and rear suspension to make running with stroller easier. This makes the stroller an effortless task to push, and handles fantastically at speed. This stroller can be used for jogging almost anywhere. The seat is also ultra padded and reclining to provide a comfortable ride for your baby, and there is also a 5 point padded harness. The 2017 version features an adjustable handlebar. As with the Duallie, this stroller can be fitted with a BOB Infant Car Seat Adapter, and also features the same two step safety fold. As with the Duallie, cup holders for parents are not standard and need to be purchased separately, however there is still plenty of storage underneath and in the back and side pockets. The bicycle style handbrake works well when going down hills for added control. Obviously this stroller shares the same problems as other fixed wheel strollers, lacking manoeuvrability at lower speeds. On a single stroller however this is less of a problem, and I think this is the best BOB stroller for running. 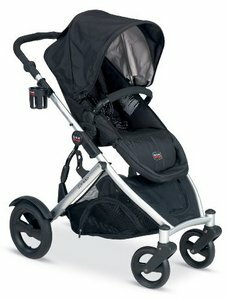 For reviews and more details on the BOB Ironman Single Stroller click here. 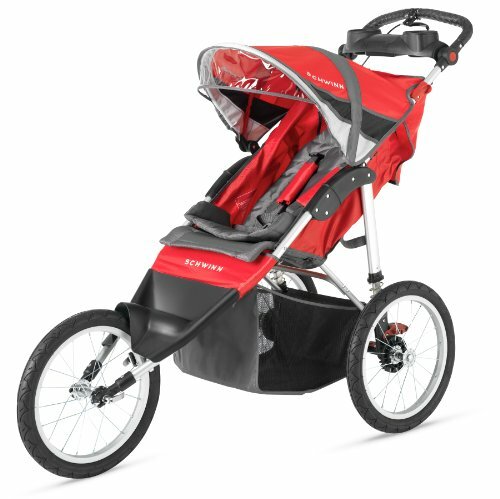 The Schwinn Arrow Single Stroller is easily one of the top running strollers. There are many things about this stroller that I just love. It is impressive to see such a great, versatile jogger at such a low price. Firstly, the wheels are a large 16” which is perfect for a smooth run/jog at either a fast or paced speed. The front wheel is fixed and the rear wheels have dual shock absorbers which allow you – and your baby – to have a smooth ride even on uneven surfaces. Assembly really couldn’t be easier and it folds up just as easy too, making it a top pick for easiness for transportation. The handlebars are adjustable and are suitable for both shorter and taller parents, and they also have a rubberized grip. The Schwinn running stroller has a bicycle style handle break which I love, as it allows you to have full control over the stroller. There is a retractable canopy that also has mounted MP3 adaptable speakers which is awesome, and keeps you (and your baby) motivated for your run! There is a good amount of storage underneath, however I did find that the storage compartment at the handlebars didn’t hold much. This is a well priced stroller that does not compromise safety or quality. Read more about the Schwinn Arrow Single Stroller. 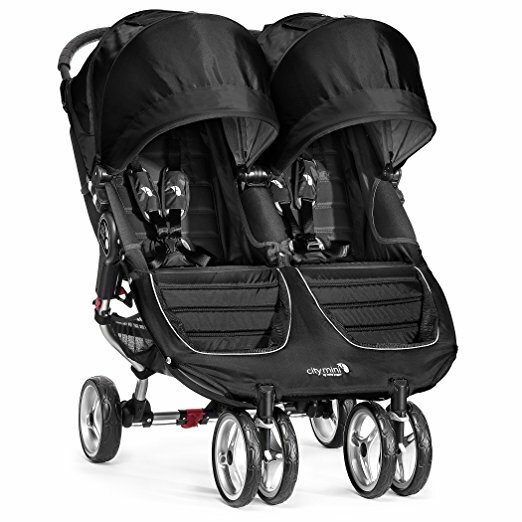 The InStep Flash is one of the more popular baby strollers for running. The InStep stroller features a large 16-inch front tire and two at the rear, which give performance and durability whilst running. The wheel is fixed, so this stroller is only really designed for jogging and running. However, the price is low enough to justify this. To make running with a stroller easier there is a bicycle-style hand brake, which is awesome and gives you more power whilst jogging with greater control. The handlebars have a rubberized grip, which are slip resistant and provide good support whilst jogging. The only annoyance was that they aren’t adjustable. They were fine for me (I’m 5’5) but any shorter and this may be annoying. The stroller folds via a dual trigger folding mechanism, which is easy to use and adds another step towards its safety. 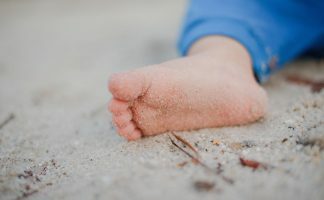 This way of folding is much simpler than older InStep Running Stroller models, however, will require you pushing the storage basket in a funny way. It takes a little practice to perfect. Conveniently on this stroller, there is a parent tray with two cup holders, a MUST on the best baby running stroller. The storage basket is also deep and roomy. The seat is padded, but still feels a little hard. However, I don’t think its anything to really complain about. The seat back can also be reclined. I think this stroller is great. It’s lightweight and attractive, and should definitely be considered if you are just looking for a quality jogger. 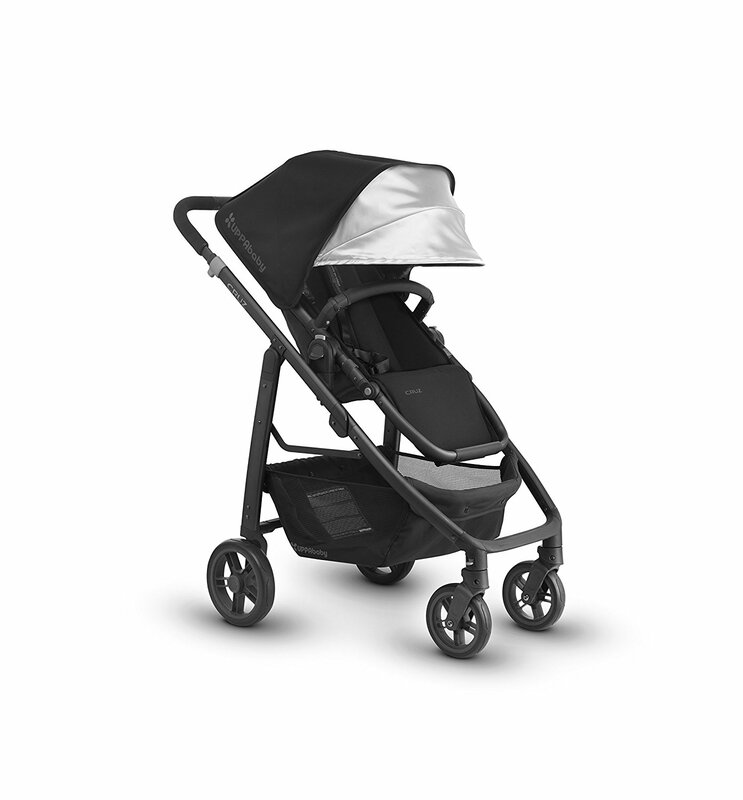 For more information on the InStep Flash Fixed Wheel Jogger click here. 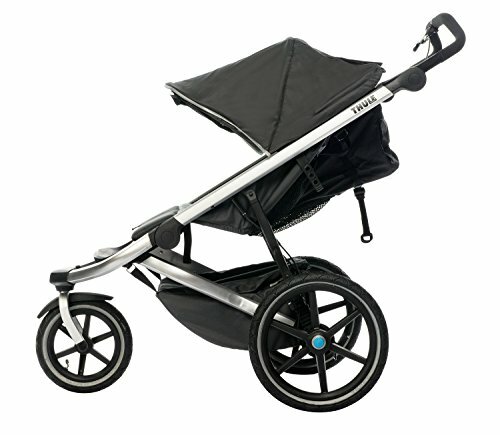 Next in my list is a stroller that sticks out, the Thule Urban Glide 1. 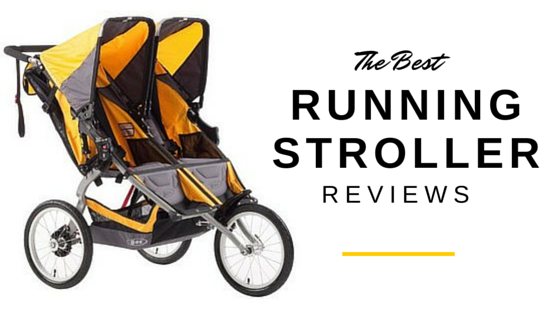 This stroller has received particularly good running stroller reviews, and I love it. The strollers 3 point wheels have a maneuverable front swivel wheel that locks into place for running and is also suitable for general use. The wheels can be locked forwards or backwards, depending on the surface you are using them on, and rear suspension also means that the stroller fairs well on uneven surfaces. The baby running stroller travels well and folds really easily and compactly with one hand, and the stroller frame is a welcomed lightweight. I really like that the handlebars are adjustable on this stroller, a problem I have found on other joggers. The stroller is therefore suitable for other vertically challenged parents. The handlebars are also comfortable for running. Your child’s comfort when running is definitely important and the seat reclines to an almost flat level, and there is a good multi-position canopy with a view from the top. A large storage compartment can be found beneath which includes a water resistant cover. This is a great idea when weather isn’t in your favor which is often the case. There are also two child pockets which are great for sippy cups, snacks and toys on their travels. The stroller does not include parents cup holders – my biggest annoyance for baby running strollers! However, these are available for an additional purchase and I would strongly recommend this. Otherwise, its a fantastic stroller. Click to read more about the Thule Urban Glide 1 Sport Stroller. My last stroller review is of the Graco Fast Action Connect. 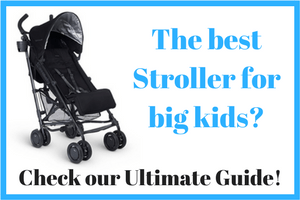 There are a few reasons why I think this is one of the best strollers for running moms. Firstly, it is cheap! 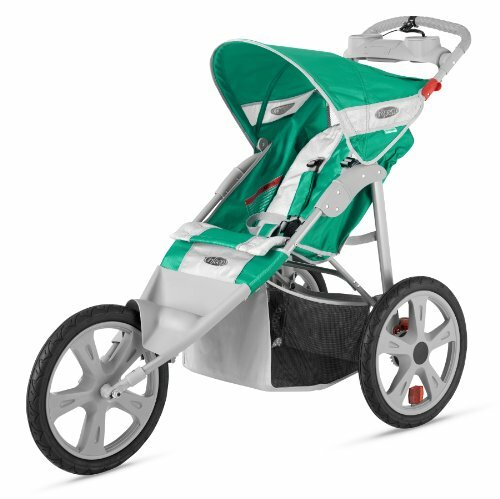 I am impressed that a jogger that could be used as an everyday stroller is priced so well. The stroller has a front swivel wheel that is lockable and air filled rubber tires, which are my preference for jogging. This contributes to a really smooth ride. I need a stroller to travel well and I love that this stroller can be used as a travel system by removing the seat and fitting it with the Graco Click Connect infant car seat. This makes travel really simple and its just a good option to have. The stroller also folds in seconds, one handed. The storage basket beneath is huge. It is also easily accessible due to a large gap between it and the seat. Conveniently for jogging the parents tray has 2 cup holders, and there is also child’s tray. There is also a huge sunshade. The seat reclines in multiple positions, and is well padded with extra cushioning to create a comfy area for all the bumps of jogging for your child to enjoy the ride.There is also a 5 point harness. I loved that there is a smartphone holder too, however note that running strollers reviews have said it’s not much use for large phones. The only real con was that it is pretty heavy. Also, I found that the lid on the parents tray compartment wobbled, and doesn’t click shut. However, this is an awesome stroller at an awesome low price. Read more about the Graco Fast Action Connect.